Free-to-air channel Quest is to provide viewers with exclusive live coverage of this year's Emirates Cup. Over the weekend of 29th and 30th July 2017, Arsenal play host for the pre-season tournament, which returns after a year off with current Portuguese champions Benfica, Bundesliga runner-ups RB Leipzig and Sevilla, the Europa League winners in 2014, 2015 and 2016. Live coverage of the Emirates Cup 2017 on Quest kicks-off at 2pm on Saturday 29th July with RB Leipzig taking on Sevilla. At 4.20pm, Arsenal play Benfica. On Sunday 30th July, at 2pm RB Leipzig play Benfica, before Arsenal close the tournament against Sevilla, which kicks off at 4.20pm. Virgin Media UK channel 172. 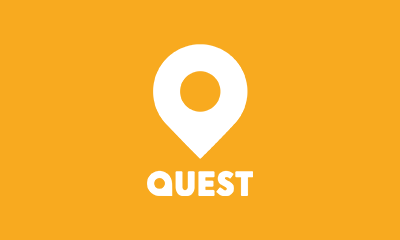 A live online stream of Quest is available via TVPlayer.com and the TVPlayer App. Quest is only broadcast in standard definition. The event is just the latest live sports coverage to find its way on to the Discovery Communications owned channel since the company acquired all shares in Eurosport and started using Quest as a free-to-air outlet for sport. “The Emirates Cup is a fantastic tournament and great addition to Quest’s line-up of top sporting action. From the iconic Le Mans 24 Hours endurance race to the Giro d’Italia, cycling’s first grand tour of the season and World Snooker’s Home Nations Series later in the year, Quest shows a rich variety of sport for fans, all for free."